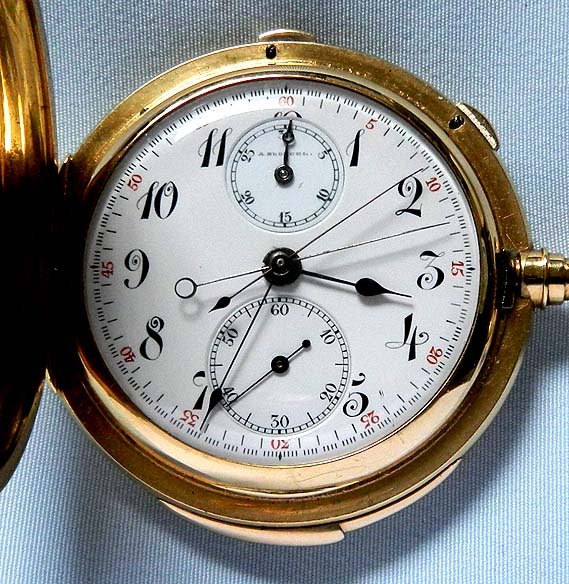 Fine 18K gold Swiss Audemars Piguet made for Touchon minute repeater split second chronograph with register circa 1895. 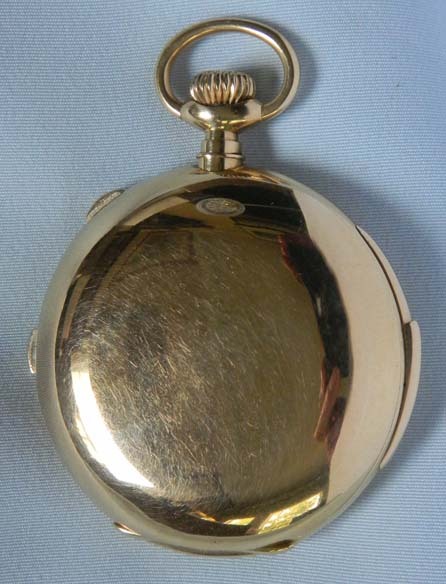 Plain polish case with repeat slide and chronograph buttons in the band. White enamel dial with red and black markings and blued steel hands. 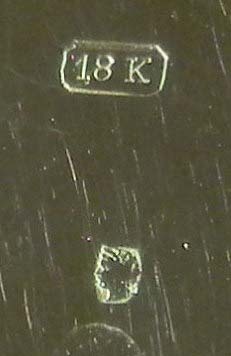 Tiny chips at the edges of the holes for the time and running seconds. 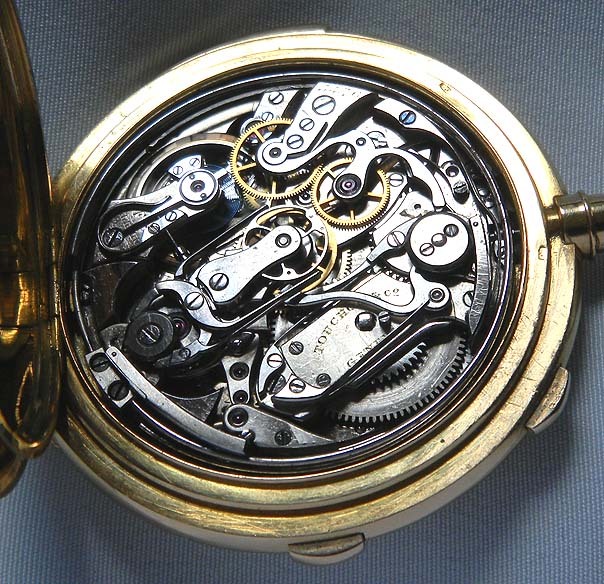 Fine nickel estimated 30 jewel movement. Sold with a copy of correspondence from Audemars Piguet confirming their manufacture of this watch. 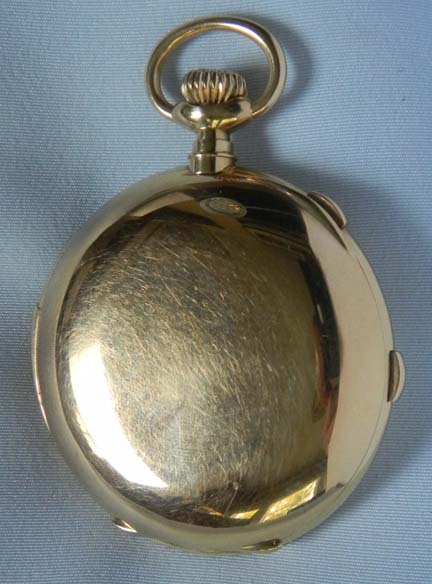 When activated this watch chimes the hours, quarters and minutes with two hammers on two gongs. Loud clear tone.